Harry Caray hungry! Harry Caray eat microphone! 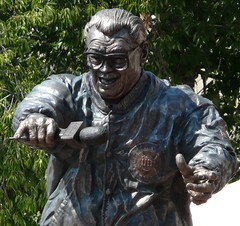 Harry Caray turned to bronze. Harry Caray cry.